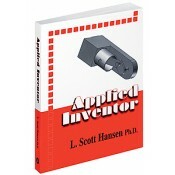 This unique reference was written with the intention that users can learn Inventor on their own with little or no outside help. Unlike other books of its kind, it begins at a very basic level and ends at a fairly advanced level. It’s perfect for anyone enrolled in Engineering and Technology programs, as well as professionals interested in learning Autodesk Inventor. • Provides step-by-step instructions along with numerous illustrations. • Commands are shown in bold for those who would rather not read every word of instruction. • Includes graphic illustration for each step for those who would rather learn visually. • Contains small notes on most illustrations to further clarify instructions.